I love using poppy seeds in my baked goods. 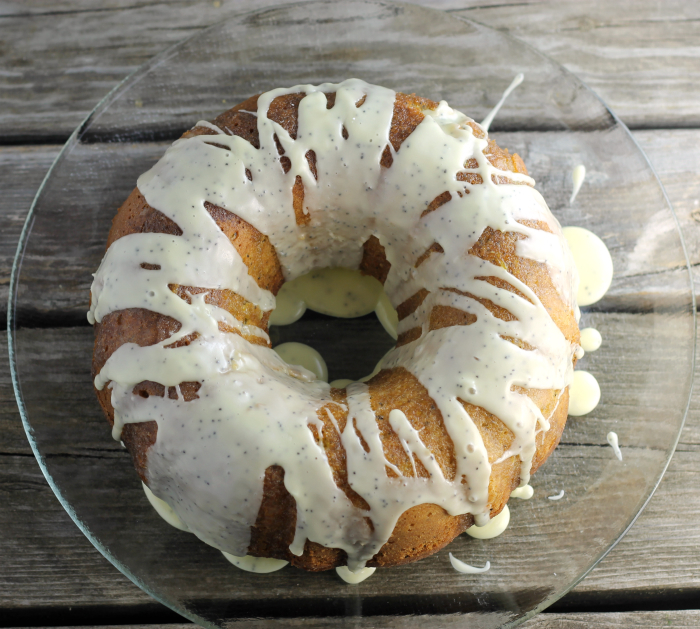 Normally I like to pair them with citrus, like this orange poppy seed Bundt cake. I hope everyone had a wonderful Easter weekend. My weekend was very nice, busy, but nice. When holidays land on a weekend, the weekend disappears in a blink of an eye. There were about 25 of my family members that gathered at my mom’s house. As always I ate too much food, but it’s so hard to resist when it’s so delicious. That means there will extra time put on my exercise schedule for the week. Ugh!! I love baking Bundt cakes. But they are way too big for the three of us to eat, so I usually like to wait until we have a few extra people around. Like this weekend when some of our kids come home to visit. It is nice to make them a care package to take home with them. And they never seem to mind taking a little food home with them. 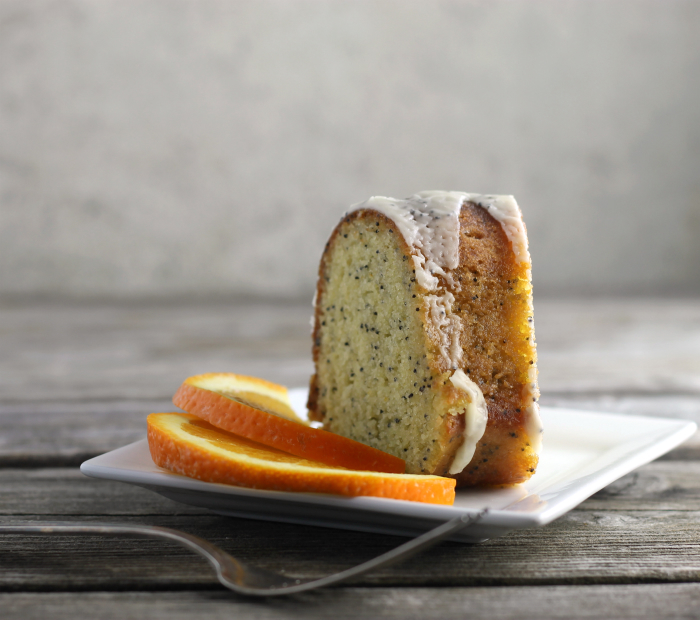 I know that there are a lot of recipes for lemon and poppy seeds, but I like to pair orange with poppy seeds as well. The cake is moist and not overly sweet and it is one of those cakes that seem to get moister as time goes by. I added a bit more poppy seeds to the icing, since you can never have too much poppy seed in or on a cake… or at least that is my opinion. After I decided to make an orange poppy seed Bundt cake I noticed that I already had one on my blog, but the recipe is quite different. See which one you like better. I a large bowl combine the sugar and orange zest. Rub the zest and sugar between your fingers to release the oils in the zest. Add the butter, using an electric mixer beat until fluffy. Add the eggs one at a time beating after each addition. Sift together the flour, baking powder, baking soda, and salt. Combine the orange juice and buttermilk. Alternate adding the flour mixture and liquid ingredients. Start with the flour and end with the flour. Pour the batter into the prepared Bundt cake pan. Bake cake for 45 to 50 minutes or until a toothpick inserted comes out clean. Orange syrup - Combine the 1/3 cup sugar and 1/4 cup orange juice. Stir until the sugar dissolves. Pour over the cake once it is removed from the Bundt pan. Cool completely. 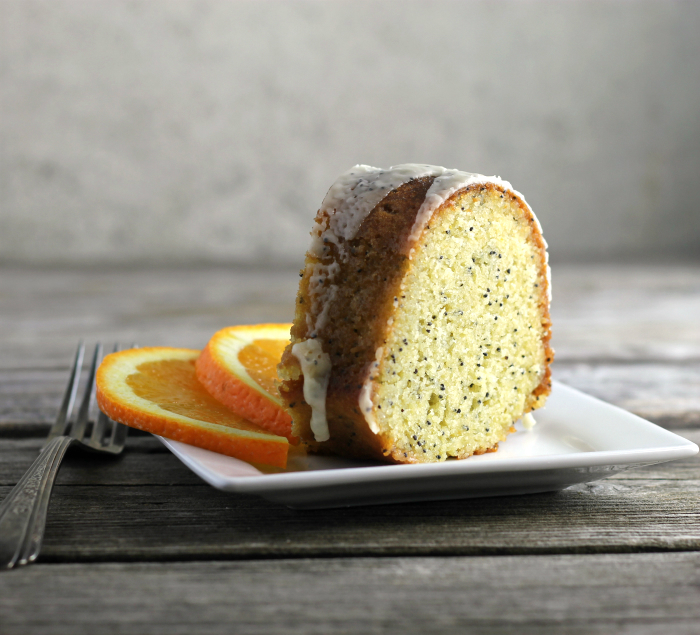 Icing - Once the cake is cooled, combine the powdered sugar and poppy seeds, and gradually add enough orange juice to get the right consistency for drizzling over the cake. I am a huge fan of bundt cakes, Dawn! In fact, I briefly (very briefly) toyed with the idea of opening a bundt cake bakery. But then I realized it would never actually make enough money to stay afloat. So now I just like to bake bundt cakes for fun…but I also have to wait until I know there will be extra people around. Otherwise we’d eat the entire darned thing ourselves. Oops. 🙂 I love this orange poppy seed version…what a fun twist on a classic. I’m thinking a slice of this would go great with my coffee this morning! I love poppy seeds in cakes are delicious !!! This cake looks gorgeous. I am in love with this recipe. Going to try this out soon. Bookmarked! Poppy seeds are so good, aren’t they? And so terrific in cake — they add tremendous flavor. The seeds get stuck between your teeth, of course, but who cares?! I’ll put up with that for the flavor. This looks wonderful — tasty, and SO pretty. Thanks! 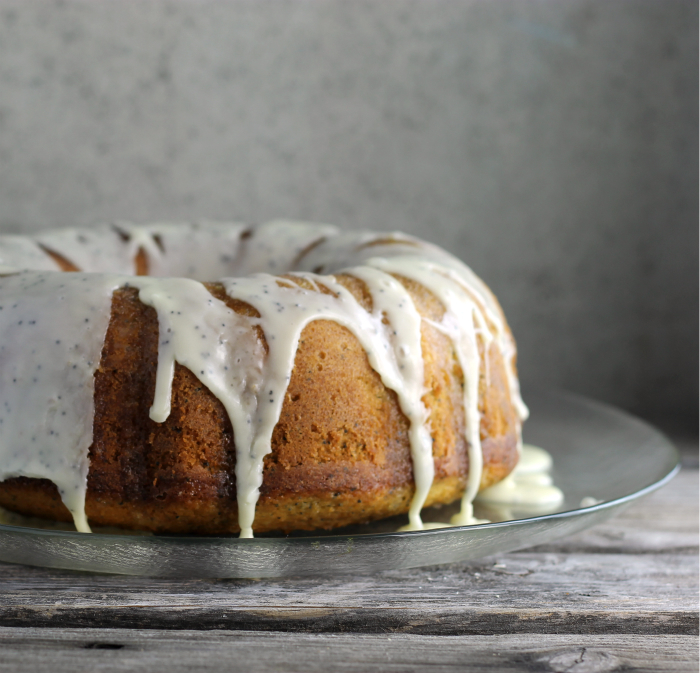 My daughter loves poppy seed muffins for breakfast—so I have a feeling she’d be thrilled with a Bundt cake! It sounds fabulous! I love orange flavoured bakes!